In my previous The Jhumka Diaries post, I had shown you my favourite dupattas. 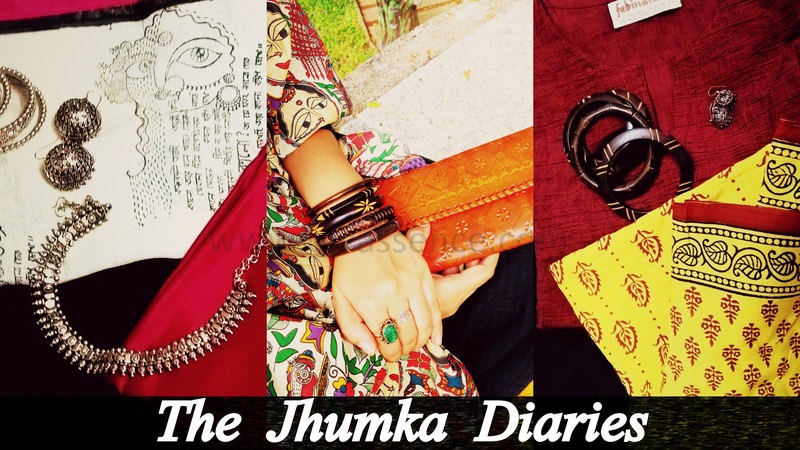 For those who asked me where I bought my dupattas and accessories here’s the thing: I’ve planned to break it all down and share with you where I shop from for what in various posts in the coming weeks. Let me first start of with my favourite: dupattas and stoles. You could purchase dupattas and stoles from various online stores but if you are the kind of shopper who would like to look, touch and feel the material and are paranoid of defective pieces and if you live in Chennai, fear not! I have a list compiled exclusively for you. Tip: If you like a particular print and they are available as running material then you could buy 2.25-2.5 metres of the material and use it as a dupatta. Just make sure the material isn’t too thick otherwise it would be difficult to manage. Nalli Chinnasamy Chetty Cloth store in Panagal Park, T Nagar: This one tops my list. They have a building with three floors exclusively for salwar materials, running cloth materials, dupattas and much more. I have bought printed dupattas from this place as well as material from the racks and have gotten them converted to dupattas. To sum it up, Nalli has Fabulous prints at reasonable rates. They do have some amazing one of a kind printed dupattas here for 750-1000 rupees which I would say is worth ever rupee. You can find anything from quirky to traditional prints as well as any material like chiffon, cotton, silk, silk cotton here. If you are looking for pure brocade or material to make your own one of a kind saree or lehenga, this place has it all. Cotton Street, Pantheon Road: A favourite of mine when I was in college. You could bargain and get the best cotton materials at the best possible rates. You need to be patient enough to scout through endless bundles of cloths and be smart enough to find the best deals among the line of roadside shops over there. 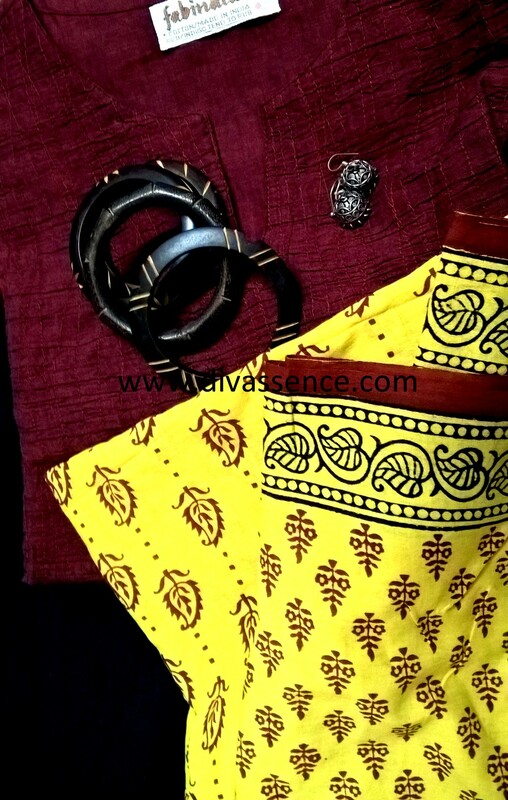 They do stock up on various prints and plain materials which you could use as dupattas. Fab India: Expensive but has quite an elegant range of dupattas. They have dupattas of various materials like cotton and silk as well stock up on floral and traditional prints. They do have quite a large collection of plain one color dupattas which you could pair up with printed kurtis. 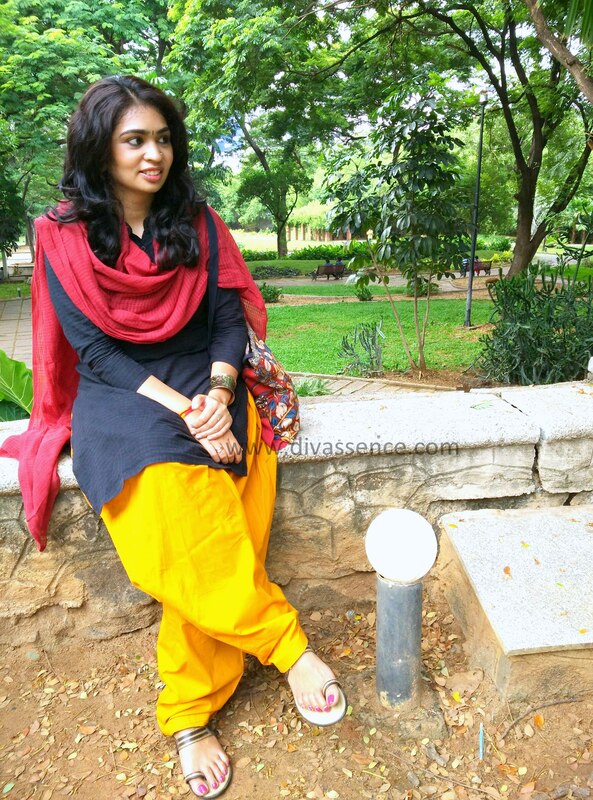 I absolutely love the color combinations of the dupattas available here. Sundari Silks: Sundari Silks, like Nalli has a separate running materials section where you can pick and choose elegant ones of your choice. They have a good collection but their prices are higher than that of Nalli. DUring a sale once, I found dupattas and bought one and I must say it was really good quality and was 150 INR after discount. So do keep an eye on the sale that happens here. Mrignayani, Luz, Mylapore: Mrignayani has some wonderful saris and salwars in various materials like chanderi cotton, cotton, georgette, kota and so on. I love the quality of cotton salwars from this place and the dupattas I get with these sets I mix and match them with other ones. Traditional prints, earthy colors and quality materials are what drew me to this store. Hope this post was informative. Do let me know if you would like to see a detailed post on where I shop for accessories next week! ← Pee Safe Toilet Seat Sanitizer Spray and Multi-Use Wet Wipes: You need these in your life! Ohh I never knew of a shop called Mrignayani and that too in Mylapore 🙁 where you get such pretty stuff…. And I absolutely love the white dupatta you picked from Nalli. 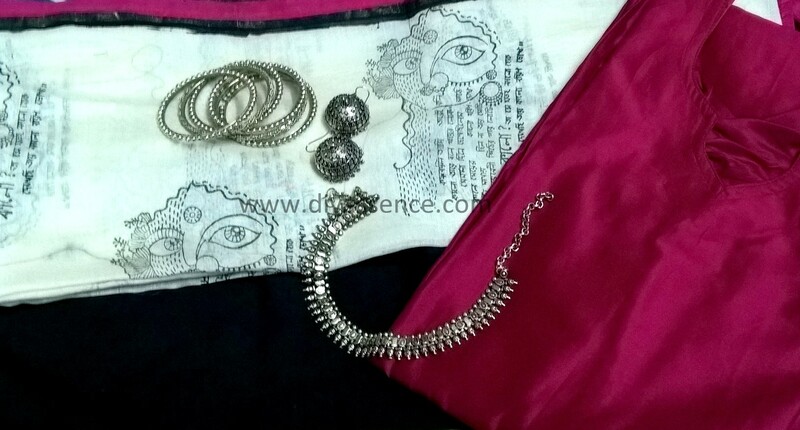 Hi I came through this post when i was searching for silk salwar with silk dupatta.Do you know any boutiques or shop to buy readymade silk salwars with dupatta in chennai?Thanks. Tamara is a botique in Chennai. I’m assuming they should be having silk salwars. Wonderful selections! I love Mrignanyni…bought a salwar set and haven’t had the heart to cut it up after 5 years. But I use the dupatta sparingly 🙂 the top material as dupatta sometimes. I am certainly interested in some temple jewelry options, when I come next to Madras…can you walk through Sukhra and others such….with range and price?